You love your legacy product, but it is in desperate need of some changes. Maybe you need to update the technology, make it go faster, or make your PCB assembly smaller. 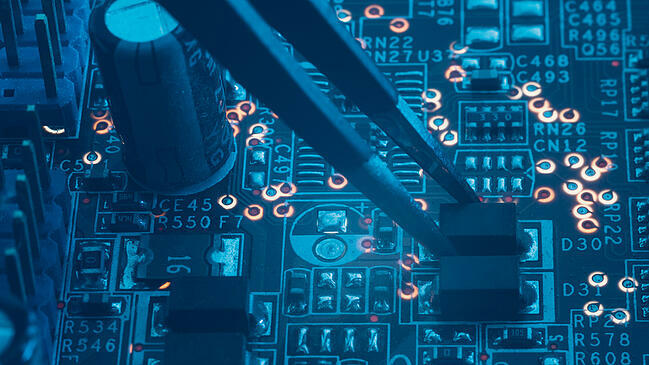 Reverse engineering and retrofitting can be a great option for product manufacturers who want to keep their existing product lines viable longer. These processes bring an old design up to speed with modern counterparts. Reverse engineering is a way to duplicate a product, subassembly, or component and find out what once made it tick. The process involves deconstructing the product to reveal its design and discover what makes it work. Once this is complete, changes can be made to upgrade its performance. This is where retrofitting comes in. You can retrofit new parts to give your product additional features and bring it up to speed with current technology. Parts obsolescence is a big problem facing the electronic industry. Components just don't seem to have a very long shelf life. This is an extremely important factor with upgrading legacy products. Often there is a component your product needs, but no one makes that part anymore. Retrofitting comes in to play here as well. Your design can be corrected and a new, modern part can be substituted for the obsolete component, but sometimes a suitable replacement doesn't exist. Luckily, there are extremely talented engineers who can come up with a creative solution to design a brand new part or tweak your design so another component will work. Technology is shrinking at a fast pace and PCBs are getting faster yet smaller. Perhaps it is time to update your legacy product by downsizing its design. Downsizing existing designs is an excellent way to save money on raw materials and assembly costs. It is likely that a fresh set of eyes on your project can tighten your footprint and make subtle changes to your tried and true design. For example, updating your design from Through-Hole Technology to SMT can save significant money. Levison Enterprises understands your needs in today's highly competitive electronic marketplace. We offer a wide range of retrofitting and reverse engineering services. 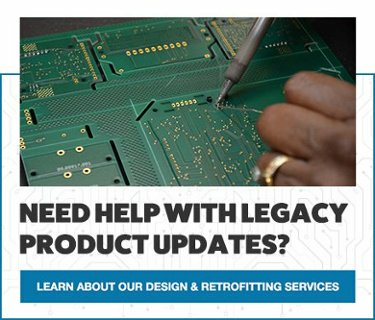 We can help bring older technology up to date and suggest changes to your product to meet newer performance standards and modern functionality requirements. Levison Enterprises can also source new parts, or streamline a product design into a more contemporary configuration. We can determine what parts of your product are out of date and modernize your technology. Let Levison Enterprises breathe new life into your legacy product. Contact us today to learn how we can help with a retrofit or reverse engineer for your project.